How to fill in the forwarding instructions for export related cargo. Consignor / Shipper: Input name, full address and contact details of the supplier or shipper. Consignee: Input name, full address and contact details of the ultimate party responsible for receipt of cargo at destination. Notify Party: Input name, full address and contact details of party to be informed of the cargo’s arrival at destination. Pick-up Address: Input address where cargo needs to be collected. Insurance Required: Please select Yes/NO accordingly. CAN/EDN: Custom Authority Number / Export Declaration Number. 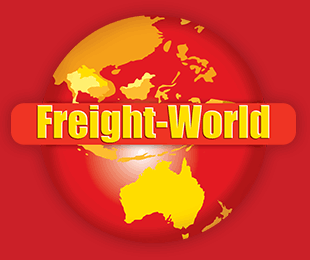 Please select Shipper or Freight-World. Input name of Vessel, Port of Loading / Discharge and destination if known. Marks & Numbers: Input any markings labelled on the cargo. Packs / Description of Goods: Input name and short description of the cargo. VGM (Verified Gross Mass): Please select Shipper or Freight-World (VGM is cargo weight + packaging + tare weight of empty container (Sea Only)) Or Input in the below text box if known. KG: Input gross weight of cargo. M3: Input total volume (CBM) or dimensions of cargo. Signature, date and full name of authorised individual attesting to the information provided above. Please send us a copy of the documents below in addition to the Forwarding Instructions once submitted.